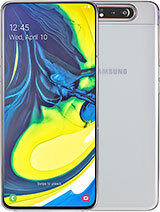 its awsome cell phone but is there a way to download youtube vedio? manideep, 06 Jun 2012its the worst phone in windows.... 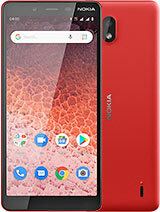 Please dont buy this phone... u cant even open simple gam... moreSum of the people are wrong abt the nokia phonnes.......it is a high class phone that cannot be made by another co. So please thank full to nokia co. they had made a gr8 phnes in the mobile market. World worst worst configuration,better use 1100 were u can atleast make calls and reachive in this phone u can not even do that buz it get stuk in btwn then reboot u r phone to make a call .. no nokia store or deller have a solution for the same.. beter go for micro-max or china phone which will work fine then this ..
Where goes Panasonic???????????????? Eluga Power???? We were at wait for it????? i will tell nokia is best phone in the case of hardware because i have used so many mobile phone.right now i am using nokia e71 2months before my phone felled in to a toilet and my friends very bad smell is coming from your phone ,then i washed my phone with soap and dettol and kept my phone for a few minutes after that i swith on my phone its working propery because of the hard ware quality i haave throw this phone to a wall notging happent to my phone.if i am throwing other phone like samsung ,Lg,sonyericson etc the display will go i preffer nokia is best . walleve, 05 Jun 2012nokia has an exclusive contract to windows that they would be exclusively using that os. That'... moreNokia have NEVER wanted to create Android devices, too late now anyhow. I give Nokia 6 months to a year before they sadly go totally bust. Put it this way, if I had shares in that company I would cash them in NOW! Nokia are shedding thousands of jobs, they don't seem to care if they go bust. I care little either now, had a Lumia 710 recently it was not even fit for purpose. The software, pre-installed was bugged. The browser crashed, then the apps.....this all started with an innocent installation of Nokia's offline maps. So, this seems a similar phone only with a lower speed processor, maybe TOO SLOW? I have not tried one of these nor care to, but will say that use caution before you buy. I am not bashing or trolling here, far from it, it is a warning to potential consumers that Nokia seems to have issues and buyer beware here. Except Lumia 900 all other nokia wp are worst..
Middle class is Samsung omnia..
dont go for nokia WP... except lumia 900..
Y nokia is making phones with obselete hardware??? ?